These days, Beauty Boxes are so in demand. Different brands have made it easier to send across sample sized products wrapped in a box, for a month, to help a woman shell out lesser money and still look as flawless as she wants to. I personally love these subscription boxes so much, I've been using a few kinds myself and here I am today, sharing the review of another website that has recently started sending out it's luxury beauty boxes! 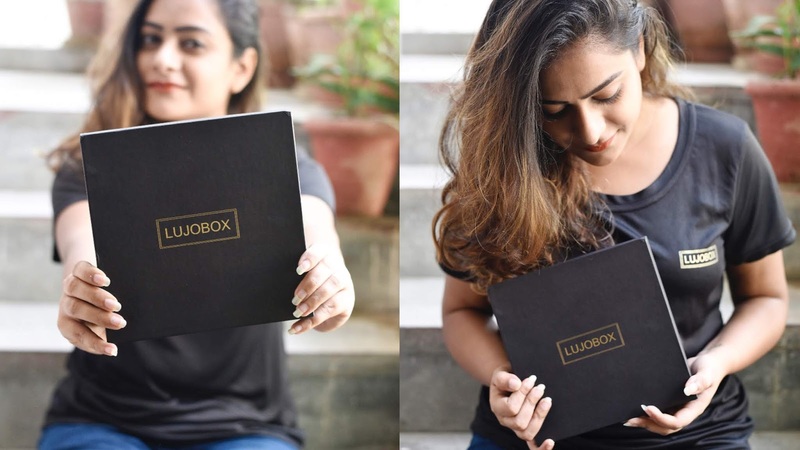 It's LUJOBOX (lu-ho box). The name's so catchy, you cannot turn your back at it! They sent across a sample box for me to try and share the review with all you women out their who've been asking me about subscription boxes lately. 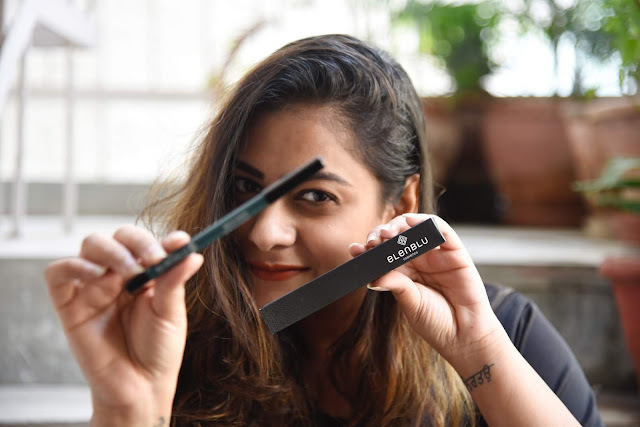 Trust me, the box is a dose of lavishness that comprises makeup, skincare, fragrance, haircare and much more! Let's scroll down and take a look at the products I received in my October Lujobox. *A three month subscription is priced at : 2565/- only, comes with 4-5 branded products a complimentary Lujobox T-shirt. It's a rich, creamy and buttery concoction of the most exotic butters & oils. It moisturises parched, dry skin and leaves it screaming for more. Its lovely fragrance lingers on your body for hours! This product is claimed to be the best seller all along and is a must have in the winter season. Brownie points to this product for doubling up as a foot butter! The subscription process works exactly like other box subscription, with just some exclusive offers. See all HERE. I've personally used products from this box and have loved them all for now. Looking forward to try another box. You should too try a 3 months subscription and let me know your feedback! Until next, lots of love.